Michael is a Director in Vincents Forensic Accounting unit. His primary area of expertise is the calculation of economic loss resulting from personal injury and property disputes. Compensation Courts of the United Kingdom. Austria, Bangladesh, Belgium, Canada, China, England, France, Germany, Hong Kong, India, Indonesia, Ireland, Israel, Japan, South Korea, Malaysia, New Zealand, Norway, Pakistan, Papua New Guinea, Republic of Mauritius, Serbia, Singapore, South Africa, Sweden, Switzerland, Taiwan, United Arab Emirates and the United States of America. Michael joined Vincents as an Associate in 2005 and has over 20 years experience as a Forensic Accountant. Prior to pursuing his interest in litigation support, Michael worked as a tutor in accounting, mathematics and statistics and as a researcher and advisor in both the Commonwealth and State parliamentary system. “Personal Consumption Percentages in Australia – Current Tables for 2015”. “Dependency Percentages in Australia Revisited – Estimating Personal Consumption using Statistical Data”. 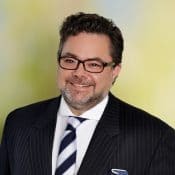 He is a regular presenter in his areas of specialty including talks for the Queensland Law Society, Australian Lawyers Alliance, Brisbane Insurance Forum and College of Law. Michael is regularly invited to provide in-house seminars assisting solicitors and claims officers in understanding the assessment of damages in personal injuries matters.